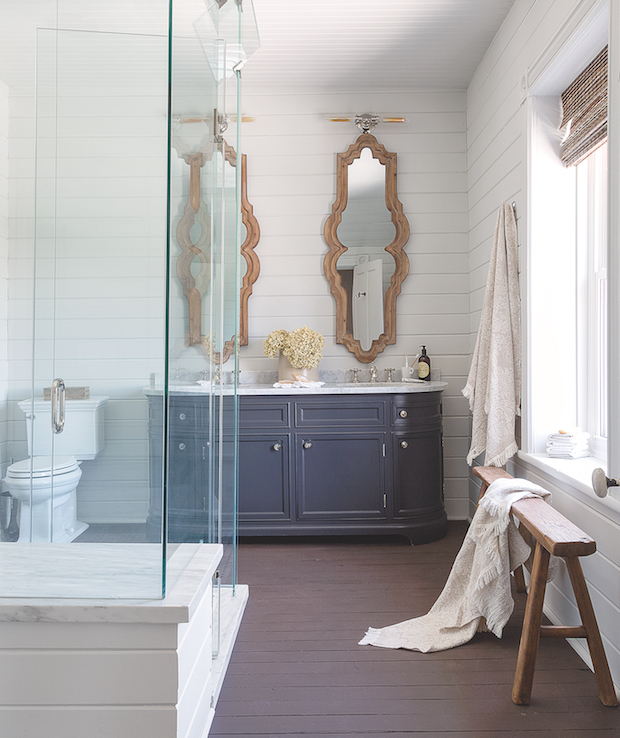 Is a bathroom reno or update in the cards for you this year? 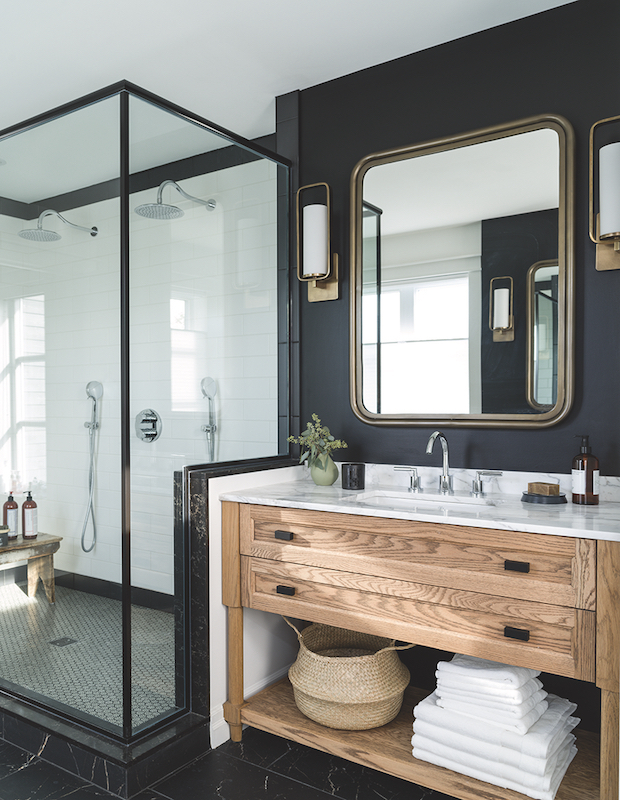 Check out the 2019 bathroom trends that will make your space fresh and current. Think of it as a water-resistant wall hanging. A beautiful installation of tile in a shower perks up basic subway tiles and is a cheery start to the day. 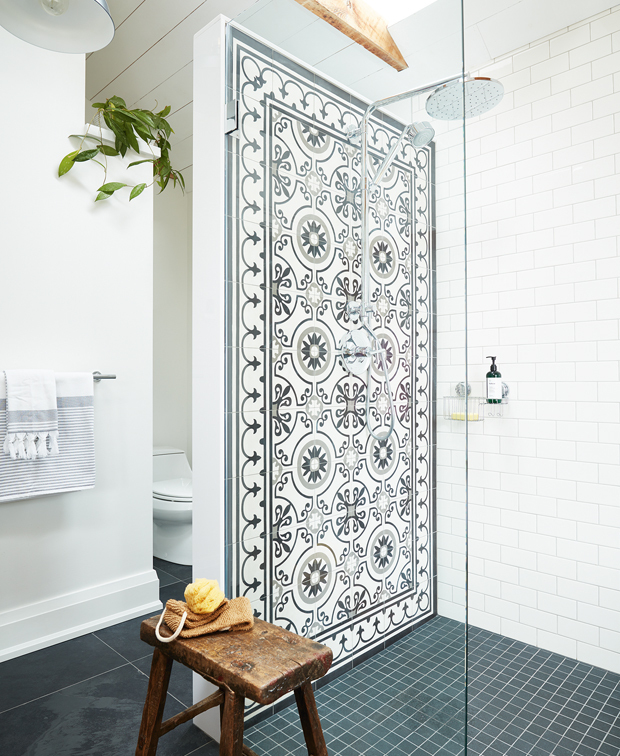 Steel windows have been making major inroads in every area of the home, but when metal edging is used for a shower enclosure, it adds a distinctive architectural flair. 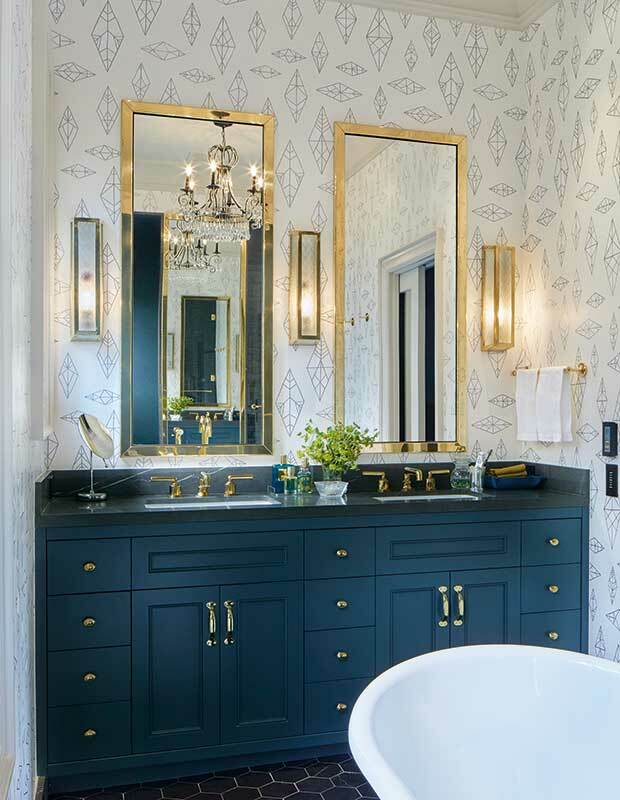 Fluted finishes and channeling are big trends for 2019. 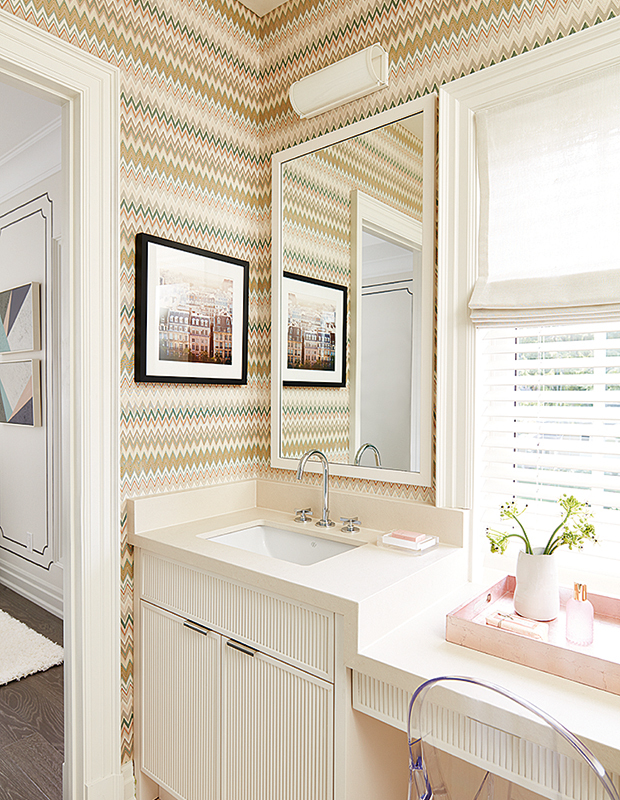 The rippled texture of the vanity complements a lush, graphic Missoni wallpaper. A natural inclination would be to place a standalone tub parallel to this window, but when set at an angle, this tub lends a bathroom a dynamic quality and frees up floor space. Warm metals live up to their name, injecting a luxe sense of glamor, particularly in white bathrooms with lots of marble. The most-wanted finish this year walks the line between polished and matte. A stunning pendant by Aerin Lauder drives home exactly how luscious and showstopping buttery brass can be. 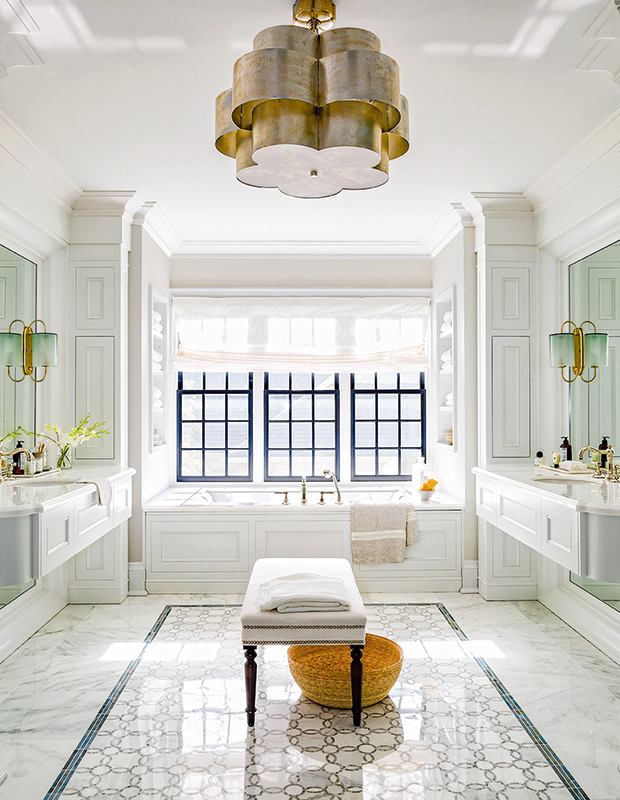 Photography and art has the ability to set the tone and mood of a space, and expresses a homeowner’s tastes, so why should bathrooms be overlooked? 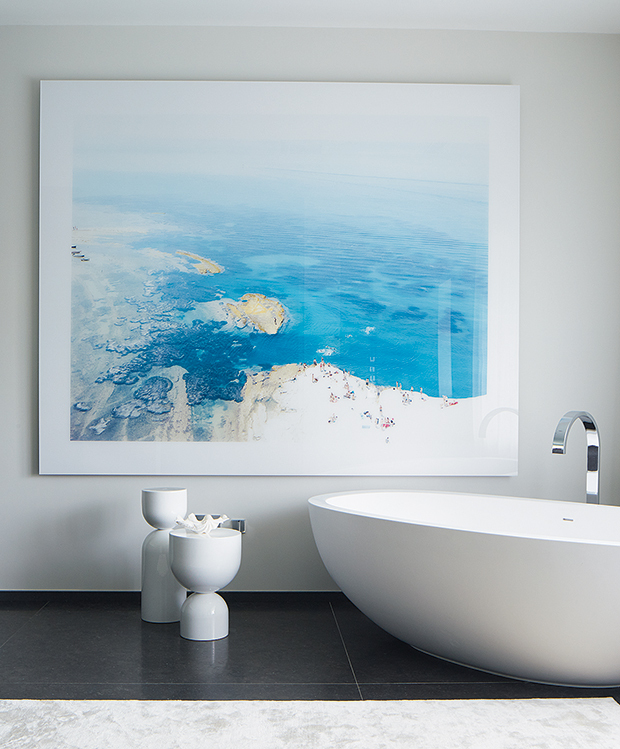 A sophisticated piece of art lends a bathroom an impactful focal point, especially if the scale is large. Round mirrors have been rolling into bathrooms in recent years, jostling rectangular framed mirrors out of the way, but here is the next evolution. A curvaceous, unique option kicks things up a notch and makes a vanity feel more like a destination than a morning way station. 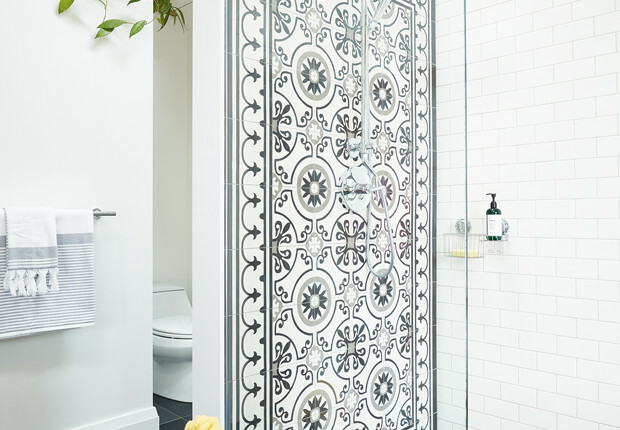 Frameless doors and a glass screen in this spa-inspired shower pull a disappearing act in this bathroom. 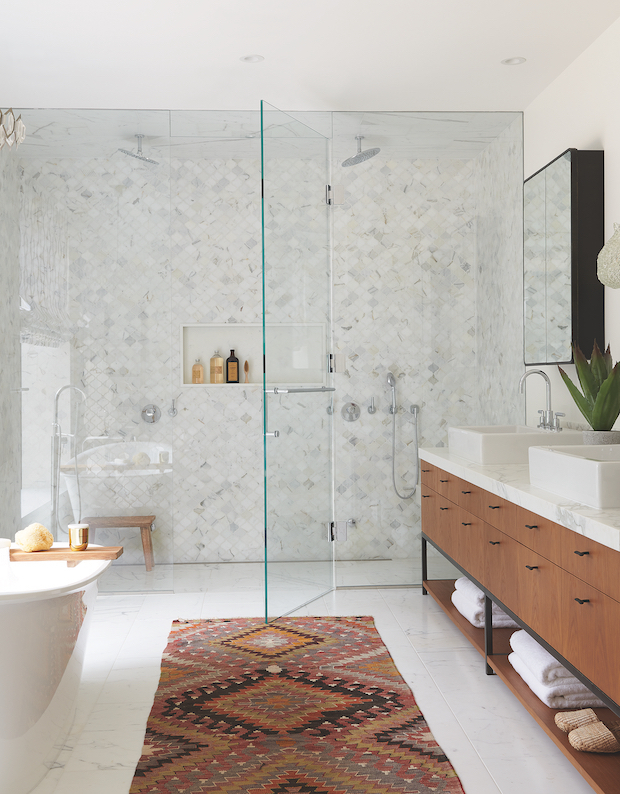 The result is the shower enclosure — and whole bathroom — looks more expansive, light-filled and open. From the shapely lines of the curved tub lip to the linear sconces, Art Deco influences infuse a bathroom with a timeless glamor. What can you do with an awkward-shaped bathroom? Tiling every surface to create a wet room solves the dilemma of when to stop the tile and start the drywall. 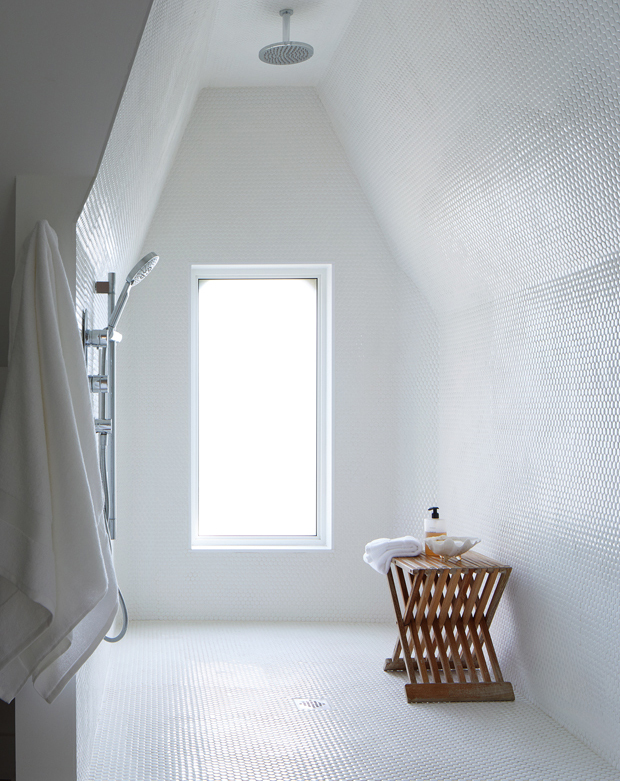 Inexpensive penny round tiles make it affordable to envelope the walls and ceilings, and the result is spa-like, and freeing. Source: House & Home. View full article here.